In previous blogs, we’ve stressed the importance of maintaining your boat’s appearance by covering it. The same goes for your jet skis. 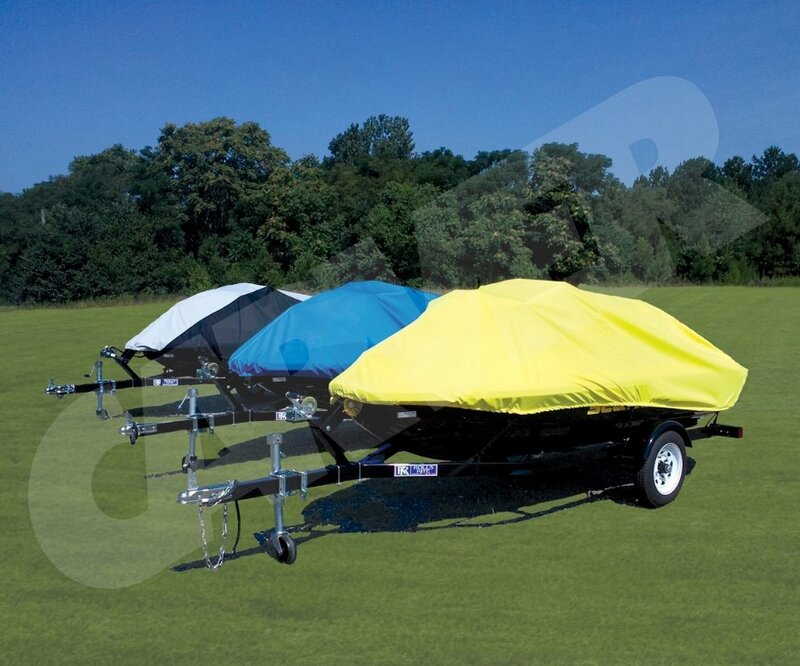 Investing in a top quality cover can help prolong the life and the looks of your watercraft. 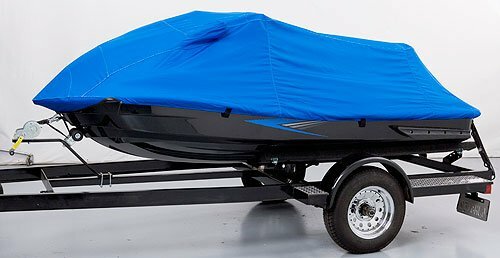 Boat Covers Direct offers custom and styled-to-fit covers for your personal watercraft by Carver, Westland, and Covercraft. Our covers are made to fit many popular models such as Honda, Polaris, Yamaha, and Sea Doo just to name a few. 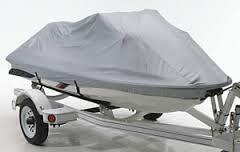 Carver’s personal watercraft covers are made in the USA and can be ordered by model or by length, width, and height. They have a ¼” shock cord, or bungee, encased in the hem to ensure a close fit and double reinforced tie down loops. Carver PWC covers include a set of tie down straps to secure the cover to the trailer when traveling or storing your jet ski. Westland’s custom PWC covers fit great! Not sure of your model? Westland offers Select Fit and Custom Fit covers. 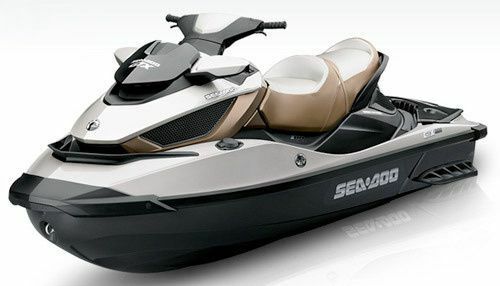 Select Fit is more of a universal fit while Exact Fit is just that—an exact match to your jet ski’s year, make, and model. Westland PWC covers feature a shock cord in the hem and sewn in loops for use with tie down straps or bungees, which are sold separately. Available materials include Sharkskin Supreme and Sunbrella. Covercraft PWC covers are available in Sunbrella and Ultra’tect materials and provide a perfect fit for your watercraft. The covers are trailerable and designed with safety and convenience in mind. They include reflexite safety strips (reflective strips that give warning notice when the PWC is on a trailer or moored), zippered gas cap, and zippered access for life vest and wet suit storage. 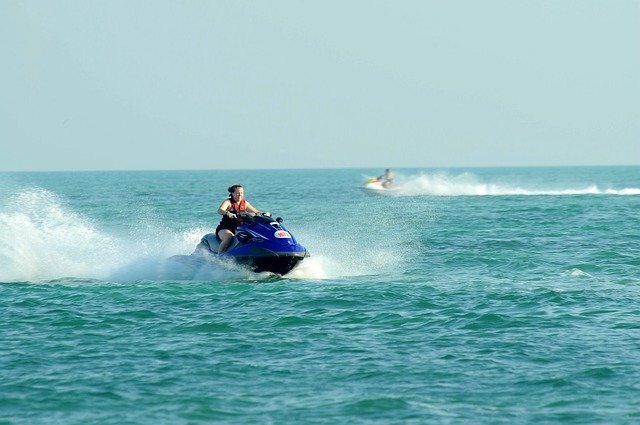 Why risk the life and look of your watercraft? Let Boat Covers Direct help you choose the perfect cover by using our “easy to navigate” website, our Live Chat feature, or by calling one of our friendly and knowledgeable customer service representatives at 866-626-8377.